Ralph Lauren is not an “exciting” brand (look at its fussy "lifestyle" photo spreads, or the models in Ralph Lauren fashion ads…stiff, overly groomed, mostly expressionless, wearing tight, armor-like clothes (even the clothes are photoshopped). 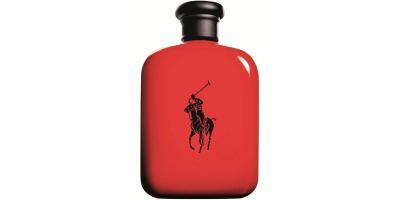 When Ralph Lauren described its new men’s cologne, Polo Red* (not to be confused with Big Pony No. 2, also in a red bottle), as a “fiery blend” that “ignites the thrill seeker in every man” I chuckled. I often wonder why Ralph Lauren, the king of aspirational EVERYthing (clothing, jewelry, even decorating — bedding, bathroom towels, glassware, furniture, paint), hasn’t released an ‘exclusive’ range of fragrances like other design houses (Oscar de la Renta, Tom Ford, Prada, Dolce & Gabbana, Hermès, Van Cleef & Arpels); if ever there was a brand in need of some higher-quality perfumes to match its other expensive merch, it’s Ralph Lauren. In Polo Red descriptions, Ralph Lauren stresses three fragrance notes: vibrant RED grapefruit, RED saffron (are saffron threads any other color?) and RED wood. If just those three notes were spectacular, or even “very good”…this could have been a pleasant cologne. But each of these notes is wan: the “grapefruit” is talc-y, bland citrus (you could just as easily call it "bergamot" or “lemon” or “lime” or “orange”) and must cost pennies per gallon; saffron is missing in action, or added (such a STRANGE note!) in a tiny amount (artificial, natch); and red wood/redwood is laughable — this “wood” is transparent, not red. Whatever notes are in Polo Red blend to create a generic clean/fresh, annoy-nobody fragrance (there are more interesting Axe body sprays out there). Even the Polo Red ads, print and video, are boring, with a business-as-usual, poker-faced Nacho Figueras, the Argentine polo player-model, starring — and staring out at us dully as he has in Polo ads year after year. Can’t a photographer rouse him? Maybe toss a ball towards him right before taking a photo…will that animate him? Certainly, if Figueras loves perfume, the Ralph Lauren selections he represents won’t keep him awake; they’ll make him forget the year, where he is and what he’s plugging — they smell so much alike. I recently got the chance to sniff some of the Ralph Lauren home collection candles; they’re more interesting than the Ralph Lauren perfumes; maybe I’ll give a few of them a try and report back to you. Ralph Lauren Polo Red Eau de Toilette is available in 125 ($76), 75 ($61) or 45 ml ($44) and in a 170 g body spray (à la Axe) for $20. * Perfumer: Olivier Gillotin; listed notes of red grapefruit, cranberry, lemon, red saffron, red-root sage, lavender, coffee, amber and red cedar. Kevin, can you think of a scent that has a true red cedar note? Here in the land of the Western Red Cedar (NOT a true cedar, after all), I have great affection for the smell of those long strips of bark, freshly peeled back during a hike. It’s less astringent than a true cedar–more resinous. . . could be nice to sniff, especially on a fella! Marjorie Rose: I just love the Comme des garcons RED series…Sequoia and Palisander. I did come across an absolute of cedar that smelled exactly like opening a cedar chest…but that got boring. Now, a candle in pure cedar might be nice! Kevin, could you provide the name of that absolute of cedar “that smelled exactly like opening a cedar chest” please? And how to get it. Marjorie Rose, try Acca Kappa’s Cedro/Cedar… it is IMHO, a fresh citrusy cedar with a hint of resin that works really well as a cologne and is light enough so as not to feel you are buried in cedar shavings or fallen cedar branches..
KG: Sorry…a reader sent me several absolutes awhile ago…they weren’t commercially available…but they smelled amazing. Marjorie Rose: PS…also I’m interested in the new Juniper Ridge cologne Caruthers Canyon – Backpacker’s Cologne…made with desert cedar. Butting in here, Marjorie Rose, to say that Ellen Covey of Olympic Orchids says that Western red cedar oil is a top note in her Dev #1 and Dev #4 and that Western red cedar leaf oil is a top note in Olympic Rainforest and Kingston Ferry. Lindaloo: thanks…haven’t heard of that line in my backyard. Its always sad when a house with so many resources resorts to “safe” perfumes. I have smelled this and it is definitely the commodity approach to glamour. BChant…the RL folks stick to the tried-and-true. It’s true! The people in the ads look like they are all made of wax! In the scent department it seems that they think a person actually smelling of something at all noticeable is vulgar. Didn’t think much of Polo Red. Sweet and blah. I can’t seem to find any male scents that I like really! Thanks Kevin, I’ve only smelled TDH in the Hermes for men..I did like it but too orangey..so picky..and not a fan of John Varvatos, I’ll re-sniff but not really a fan so far. Thanks though!!! To me, all RL fragrances (no matter what color) smell the same, with that synthetic “manly, sporty, frat” smell, for the man that maybe tries to overcompensate for some physical ‘shortcomings’? Are they like the Trans Am of fragrances? 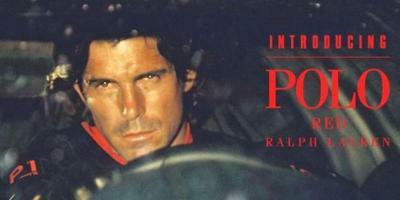 Peter, the only one I like is the original Polo…then, like you say…blur. You are right Kevin, the original Polo was/is a classic and i also liked the original Chaps and Lauren and Safari were beautiful women’s perfumes so they can make good fragrances instead of the “upgraded” Axe crap the do nowadays. I really liked the original Lauren and recently I snapped up one of the old lay-down bottles on ebay. It’s amazing how subtle and interesting it is, and it suited the romantic side of the brand’s image quite well. The notes *sounded* so appealing – but alas, i rushed to Sephora to get a sniff and came to the same conclusion, Kevin……….smells like everything else out there….have you smelled the new Gucci? Thomkallor: nope…haven’t seen that one on shelves yet. I agree with you on several points: another Polo flanker (yawn) tested to death by consumer panels and hard to tell apart from prior Polo flankers. I honestly think they can skip a generation and wow the new High School age kids while the men that are now in their mid twenties stopped wearing Polo Black. Or was it Polo Double Black. I am thinking so hard my head is hurting! What I wanted to add to your review was the licensing of Polo fragrances to L’Oreal. The company can do whatever they want with both perfumers and notes from concept to launch. The goal is to reduce cost to a minimum and to increase sales to a maximum. The risk is not immense because even if it flunks, they get their return. Remember Polo Explorer anyone? It’s like a total separate company from the Polo apparel. I doubt that old uncle Ralph has even smelled Polo Red. May be his sons got invited to the launch party and were given samples. I bet they prefer to wear niche fragrances themselves. I don’t know if I’d go as far as “fantastic”, but I was pleasantly surprised by Cartier’s Declaration d’un Soir. It has a distinctly retro rose-chypre vibe to me, like a less pushy Agent Provocateur. (No, really.) Only tenuously “masculine”, as well; I’d consider it easily unisex. Sub: yes, I’ve already reviewed that one! Great question…I’ve been suffering from an oud overload wherever I go lately. When will the wave finally subside? Or at least slow down? Can you remember how enamored I was with M7 back when it was the first Oud in the designer category?! You could say that Tom Ford was a visionary back then at YSL. To be honest, lately I’ve been revisiting the non-conformist good scents like Comme Des Garcons Wonderwood and Untitled by Maison Martin Margiela lately. I just don’t want to smell like sweet arabian rosy oud! I almost gagged when I sniffed the Francis Kurkdjian latest Oud trio! Eric: same here…an oud break is needed. Though M7 is still one of my favorites of that genre. You have reminded me that the real lure of actual Polo players is their smell after playing a hard fought chukka. It’s horse+ man sweat+ leather. – it’s very attractive, at least to Europeans, and our polo players famously don’t shower before partying as that would destroy the very animal magic. Ironically it’s the exact opposite of what Lauren sells but if they bottled the real smell it would be amazing and I believe it would sell !!! Bejoux…I think Parfum d’Empire has that one covered. That sounds exactly like an Etat Libre d’Orange new scent . The concept came ready compliments of you! Just try to get some sort of compensation if you can. Sorry Kevin, and everone else, but I DO LIKE this one. I feel it is the nicer of the flankers or the colored POLO’s. The red fruit, cranberry is a nice departure from the extremely overused grapefruit and bergamot. On my skin, the saffron and woodiness shines through just as much as the fruitiness, which is not that sweet or cloying; yes, it is noticeable and a little sweet but a nice juxtaposition to the woodiness. All of Ralph Lauren fragrances are generic, common place to reach as many as possible for that bottom line, but this is at least a little more different than most recent offerings. Safari, original (Green) Polo and Polo Sport were the best. Polo Red is a decent offering. I will wear this more often than not! I also feel this is a nice inoffensive fragrance to wear into the office and as a year-rounder; Polo Red is being touted as a Spring/Summer scent, but I think it would be just as nice for the colder weather as well. Nice under a sweater…the saffron and woodiness is warming. If you want a proper “red” masculine perfume, nothing beats Xeryus Rouge.